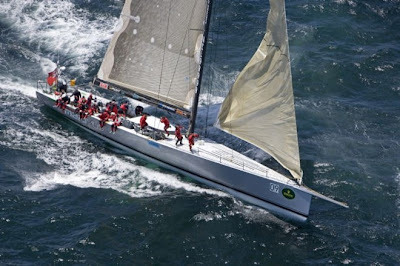 The Rolex Sydney Hobart fleet of 100 has joined the pre-Christmas rush with unforeseen hitches pushing a number of crews to the limit as they scramble to prepare for the Boxing Day start of Australia's great ocean classic. While Christmas shoppers dash around department store aisles with their present lists in hand, a number of crews will have little chance of getting to the shops in the next fortnight given the list of tasks they have to complete before they are race ready. The crew of Sean Langman's Elliott 100, Investec LOYAL, is working against the clock to have the boat's new keel fitted prior to next Tuesday's SOLAS Big Boat Challenge, the annual maxi boat race on Sydney Harbour. A delay in the boat's arrival from New Zealand followed by a further delay in the build time for the new keel has cost Langman and his crew valuable time. The new keel left Brisbane by road yesterday and is due to be fitted this weekend with the boat likely to be re-launched at Woolwich Dock on Monday. 'We've organised two teams to work around the clock to fit the keel this weekend,' said Langman. They might be under plenty of pressure but the crew's intense fitness and sail training schedule rolls on, Investec LOYAL was out last weekend completing its 24hr qualifying sail with its original keel. 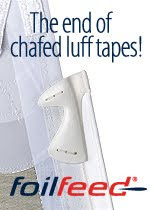 For UK entries Ran and ICAP Leopard, an unforeseen shipping delay has cost them two weeks preparation time. Niklas Zennstrom's JV72 Ran and Mike Slade's 100 footer, ICAP Leopard, are currently on a cargo ship bound for Port Kembla, Wollongong, which is due to dock on the 14th or 15th of December. A delayed departure from Malta in the Mediterranean will cost both crews valuable preparation and on-water training time, and will prevent Zennstrom from contesting next week's SOLAS Big Boat Challenge. Ran's race team manager Tim Powell admitted: 'We are obviously very disappointed by the two week delay. We spent a lot of time and energy making sure we had enough time to prepare the boat then compete in the regattas before the Rolex Sydney Hobart, the SOLAS Big Boat Challenge and the Rolex Trophy. The SOLAS Big Boat Race is definitely cancelled for us and we are going to struggle to make the Rolex Trophy. 'The team is still arriving as planned and whilst we now have a very hectic schedule and a lot of work to do, we are all very excited about competing in the Rolex Sydney Hobart,' added Powell. The impact on ICAP Leopard's program isn't too significant says boat captain Chris Sherlock. 'The arrival date will be six or seven days later than we had hoped, however the impact on us is not significant due to the fact we hadn't planned to contest the SOLAS Big Boat Challenge or the lead up series. 'Fortunately we had a few weeks in Malta last month to prepare the yacht after the last event so when it arrives it will really be a case of mast in, main on and off we go. Even the sails are down below and race packed. 'Transporting maxis to and from Australia for specific dates is very difficult. Because we are doing a lot of regattas in a short space of time we have to take the risk of delays,' added Sherlock. 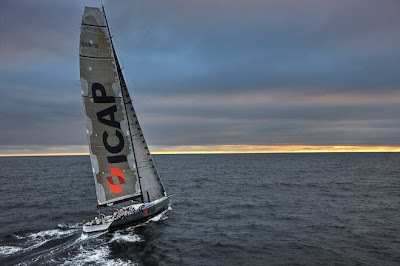 ICAP Leopard's owner, Mike Slade, will arrive on the 18th of this month for the crew's first training sail, the delivery from Port Kembla up to Sydney for the boat's second Rolex Sydney Hobart having finished runner up to Wild Oats XI in 2007. Grant Wharington's Melbourne based Jones 98, Wild Thing, sustained minor cosmetic damage earlier this week when an unexpected strong north westerly change caused the bowline to break and the bow to bump up against the pier at Mornington Yacht Club. The damage has now been repaired and the crew are readying themselves for a massive re-branding exercise over the next few days following this morning's announcement of the winner of the Amazing Naming Rights project - Etihad Stadium. 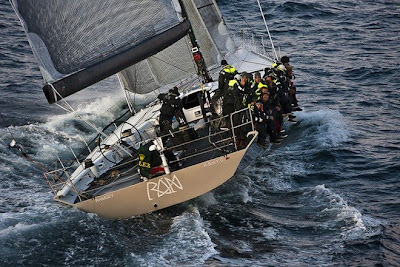 Wild Thing's fully crewed delivery to Sydney in race mode will start late Thursday night.